"A Name you can trust" I am focused on Residential Cleaning, office cleans, Homes, private holiday homes. Five days a week - Monday to Friday 9 am to 5 pm Referenc­es available. Full written Police check. Come and join the best!! I have been involved in Property Management as a Property Manager for several years prior to opening my own business in cleaning homes. Karen and her team are simply the best. Efficient and thorough, our house always looks amazing after they have been through. Would definitely recommend! Thank you Karen and your lovely helpers - you went above and beyond!!!! I expected to come home to a nice clean bathroom, as it always is when you have been, but you had also put it all back together again after the builders had been. It was such a bonus and I am very thankful. I couldn't recommend this company highly enough. Great service and cleaning, excellent at feedback and very dependable and trustworthy. I almost didn't recognize my house after they have been there -it was a pleasure to arrive home after an exhausting day and to find everything so neat and clean. My only regret is that I did not make use of their services sooner. Karen and her Team rock my world. They energetically whip around our house and makes everything look sparkly and new. They are pleasant to have around but most importantly they leave our house in way better shape than they find it. I would definitely recommend K.R. Services to anyone who requires a reliable, trustworthy and thorough cleaning Team. Thanks Ladies! ?? Karen Read: Thank you Linley, my door is always open appreciate your kind words enjoy your new adventure. My favourite day of the week is to come home after Karen and her team and been in. She even photographed a courier ticket so I could pick it up before I left town. Awesome job ladies. Karen and the team cleaned our house for the first time today. We are so impressed with the quality of their work, and professionalism. Highly recommended! The house looks amazing! Karen and the girls are absolutely amazing. They come over every fortnight and make my house sparkle. Wonderfully friendly and great with my dog. I highly recommend Karen's service! It is our pleasure to write this review for Karen Read Cleaning. We engaged Karen to clean our properties in Rotorua from 2011 and we found Karen enthusiastic, reliable and ready to oblige with any requests. Our whole experience was hassle free and delivery was spot on. We were extremely happy with the results. K R Services do a fantastic job of cleaning my house. It is such a pleasure to come home to a clean home. The place is spotless from top to toe. Could ask for a better service. Karen Read: Sorry busy week Jane, this has since been sent out. Karen did a great job for me, despite my messing her around. Nothing was too much trouble. 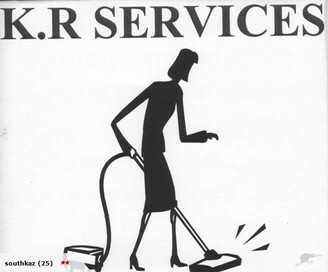 K. R. Services are highly recommended. I am very greatful for the excellent job Karen and her team provide each week and the extra's they will squeeze in - I look forward to coming home to fabulously clean home - I have extremely high expectations and Karen and her team deliver!! I want to thank Karen and her team for the fantastic job they did on our house. When I did the final inspection prior to purchase, I wondered if it was actually going to be livable. Enter a team of 5 headed by Karen the day before we moved. The house looked and smelled so clean and fresh it was a real joy to be moving into rather than the nightmare I'd anticipated. I highly recommend KR Services to anyone needing a house clean. Their standards are very high and they are helpful and friendly.